NPR News Nuggets: It's A Win For The Wookiees, Twitter's Power & Baby Bears Here's a quick roundup of some of the mini-moments you may have missed on this week's Morning Edition. 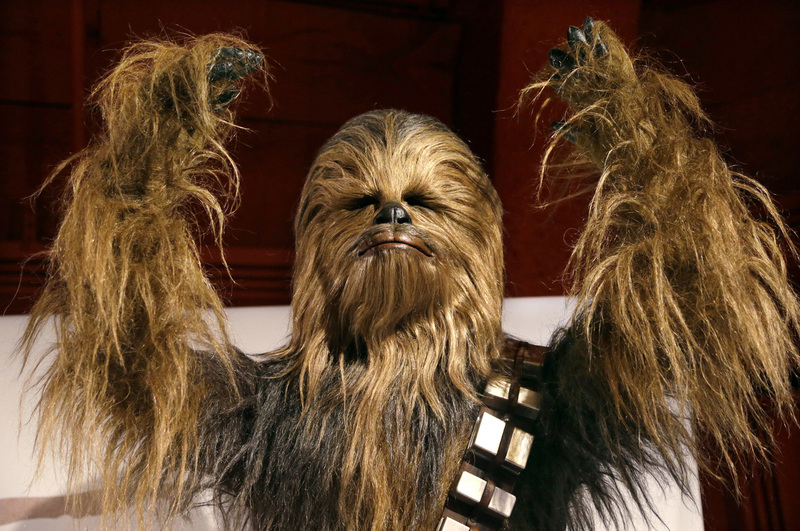 Forty years after The Dallas Morning News ran a review for the original Star Wars calling Chewbacca a "Wookie," the paper issued a correction noting that the spelling is actually Wookiee. Ah, the life of a 6-year-old. It's usually pretty great and carefree. You still have to go to school at 6, but at that point everything is fresh, new and exciting. Looking back, you're probably feeling a bit nostalgic, but maybe you're also asking yourself what you had accomplished by the time you'd been on Earth for six years. Chances are it's not nearly as impressive as what DJ Itsuki Morita has done. Those two letters in front of his name might not be MD or another professional classification, but he is a DJ. In fact, he's a world record holding DJ. As Morning Edition host David Greene said on Monday, the Japanese DJ recently stopped by Bar L in Osaka to do a set. With his bright red headphones, he ruled the room, worked the deck and officially set a Guinness World Record for youngest club DJ. When talking about the career choice, he said he had found his true calling. "I saw people DJing," he said, "and thought it looked fun." So to recap, DJ Itsuki Morita is six and already setting world records. Keep an eye out to see what else he does in his lifetime. It is clear we can expect great things from you, Mr. Morita. Can you believe Twitter is free? No, but really. The social media platform has given us so many gems, from pop culture icons and their petty feuds to more direct or insightful knowledge into the lives and minds of politicians. And retweets? Well, those might just be more powerful than tweets themselves. Just this month, one high school student was awarded a year of chicken nuggets from Wendy's when he ended Ellen DeGeneres' reign of the most retweeted tweet. As Morning Edition host Rachel Martin said on Tuesday, Twitter and its users even have the power to get students out of exams. The latest comes as students in Laura Roberts' sports literature class desperately did not want to take their final. So, they struck a deal. Roberts agreed to cancel the final if Green Bay Packers quarterback Aaron Rodgers retweeted a tweet sent by any student in her class. I'm not going to say this is almost too easy, but it is a scenario that has been repeated with other professional sports players. Then Peyton Meyer, a student in the class sent a plea to Rodgers saying "please retweet, she's your biggest fan," while referring to Roberts. Rodgers did oblige, but did say, "I'm sure a sports lit final is very important." Again, Twitter is free and anything is possible if you just tweet. What should you do when you see a bear out in the wild? Well here at NPR, we have some tips from you, but let's just start out by saying this man did not do what most would. As Morning Edition host Rachel Marin said on Thursday, Brad Meck, of Pennsylvania, was out fishing when he noticed a black object in the water. It wasn't a log of wood or a beaver like he might have thought. Instead, Meck found a little baby black bear struggling to keep his nose above the water. Of course Meck wasn't going to let the little guy drown, so he pulled him into the boat. Now it's one thing to come face-to-face with a bear in the wild, it's another to invite it into your personal space. Meck says he was a little worried about getting bit, but instead the cub just sat there quietly as Meck rowed the boat to shore. 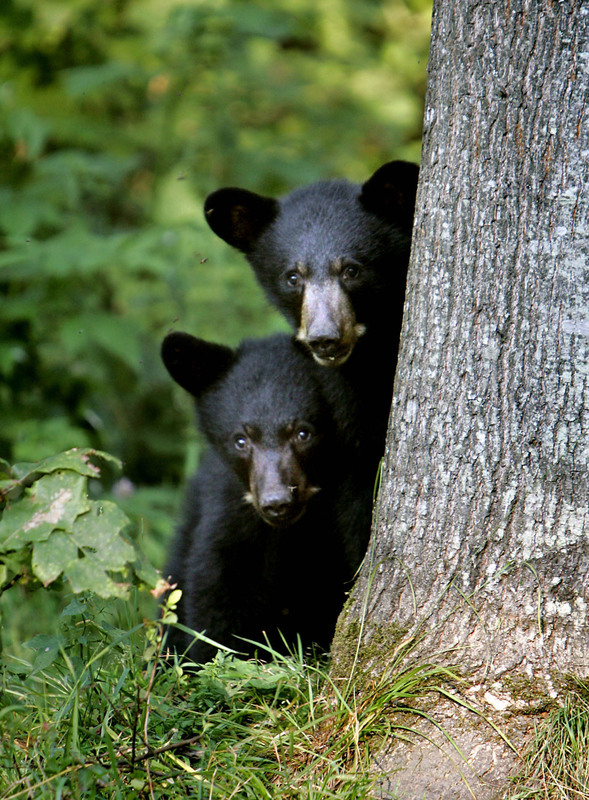 When they hit the bank, Meck dropped his new found friend off with the hopes that mama bear would find him. Ten points for Meck's altruism. Issuing corrections are not a fun part of a job in the news industry, but that doesn't mean you can't have some fun with them. The Dallas Morning News is well aware of this. As Morning Edition host Rachel Martin said on Friday the newspaper made a serious error 40 years ago on May 26. At that time the original Star Wars movie had been released and the News published a review calling Chewbacca a "Wookie." There's just one problem Chewbacca is actually a Wookiee. Now, 40 years later, the record is finally set straight and a formal apology has been issued to the "seven-foot-tall hairy alien biped community."